So unless you've been living under a rock, or under 2,040 feet of rocks, you've surely heard all about the Chilean Miners. If you haven't, go look at your Facebook or Twitter updates and you'll see all your friends and family writing all about it. 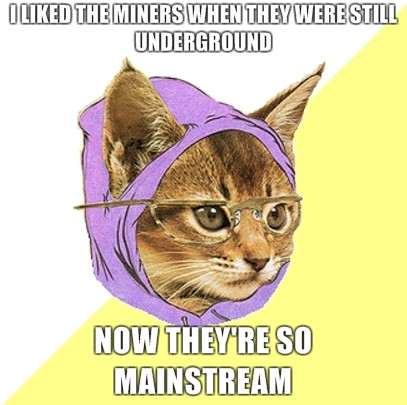 Even the Hipster Kitty is talking about them. So who am I to buck the trend and not write about the Chilean Miners? I mean sure this blog is all about Office Supplies, but surely there must be some wild version of Six Degrees of Office Supplies that will be able to create some kind of link. Well, I was in luck. 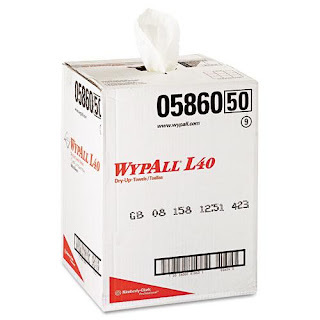 The products description for WypAll L40 clearly states that they are "Ideal for health clubs, mining/manufacturing and schools" and who am I to argue with the Kimberly-Clark marketing team. Sure, just a few days ago I was blabbing about how Duct Tape isn't an Office Supply, but this is different - this is awesome. Just stay with me for a minute here, in this box you get 200, yes two hundred, individual use, bath towel sized "cloth-like" towels. Now some of you might get ants in your pants because each of these towels measures in at 19.5" x 42" and a standard Walmart bath towel is 30" x 54", but it is still a nice big towel. So why would a Chilean Miner want a box of 200 slightly smaller than normal cloth-like towels? I really have no clue. What similarities do mines, health clubs, and schools have? Again, you are asking the wrong guy. 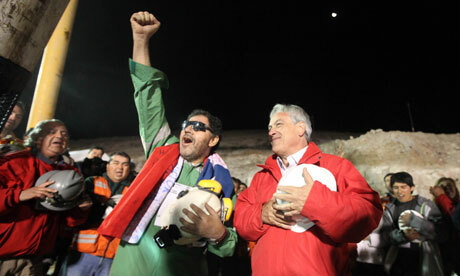 The only thing I know for sure is that the Internet loves Chilean Miners and I think they are keen as well. The Grandfather of a friend of a friend of mine was actually a Chilean Copper Miner in the 1900's (honest to god truth) and maybe he'd know why this box of towels is perfect for a mine. Me, I just think a box of disposable towels is cool... but not as cool as Chilean Miners.